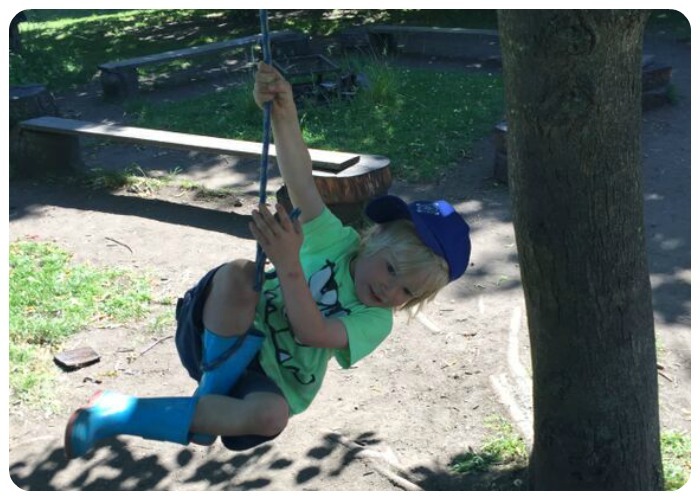 Back in December, I wrote about having ‘an afternoon in forest school’ with JR. 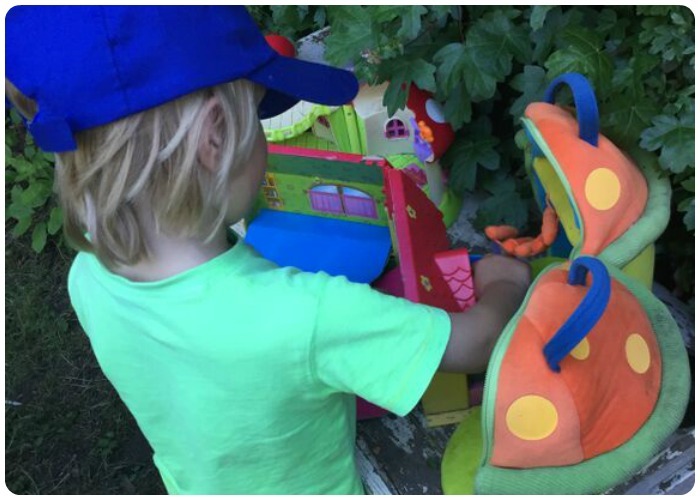 I was aware that sometime towards the end of nursery in the final half term of the year I would be heading back with TP, but that would be ages away and didn’t need thinking about………. This morning TP had his final induction day for starting school in September, today’s induction was the one he was most excited about ‘Forest school’. 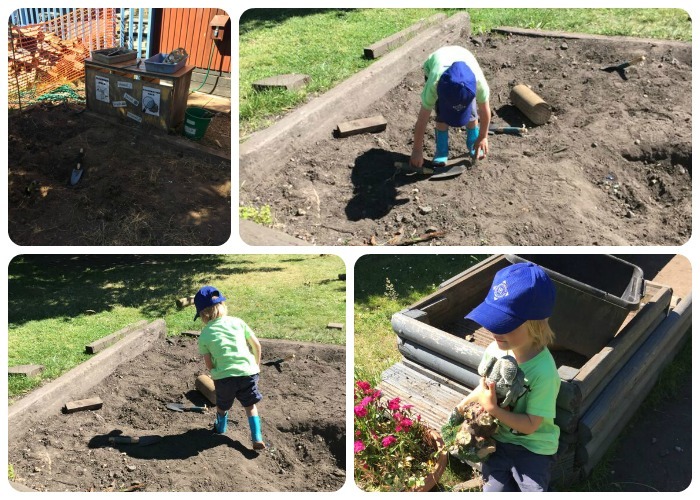 Every Friday of this school year TP has wore his own clothes to school, donned his wellies and has been down to the schools forest school area. He looks forward to this every week and is disappointed Monday – Thursday when I tell him ‘no its not forest school today’. Today was his chance to not only show me what he had been doing since September, but also learn about what he would be doing over the next 3 terms. The first thing Tyler showed me was how to properly sit on the benches around the camp fire, ‘you don’t walk around them Mommy, that’s dangerous because you’ll be by the fire you have to step over them’ – although there was no actual fire they prepare the children by following the same rules whether the fire is lit or not. Once the teacher told us we were free to explore TP headed straight to the fairy garden area where Princess Holly resides, in her little castle. TP then wanted to show me the mud cafe. where he made me a lovely bowl of macaroni cheese. 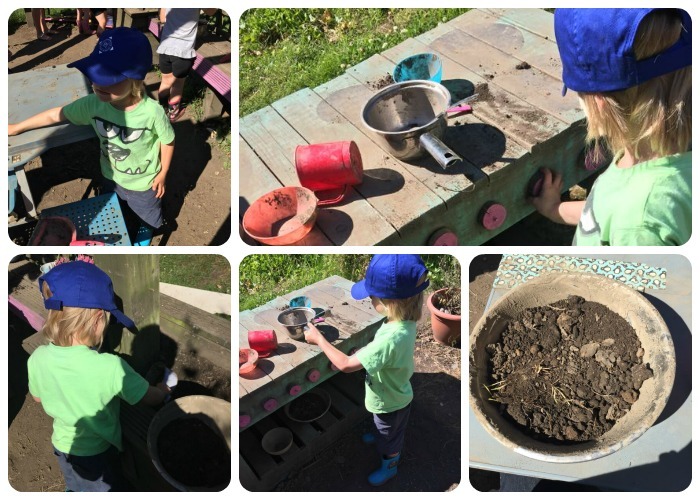 The mud cafe area was easily the favorite area of all the kids, and although TP choose not to make use of it the teachers made sure that there was a container of water available to turn the dry dirt into mud if the children wanted to. TP then took me to the dinosaur dig area where there are actual dinosaur bones and fossils to be found, I was impressed with the thought that had gone into this area because it was set up as if it was a real archaeological dig site. unfortunately we didn’t discover and bones but TP’s friends did. 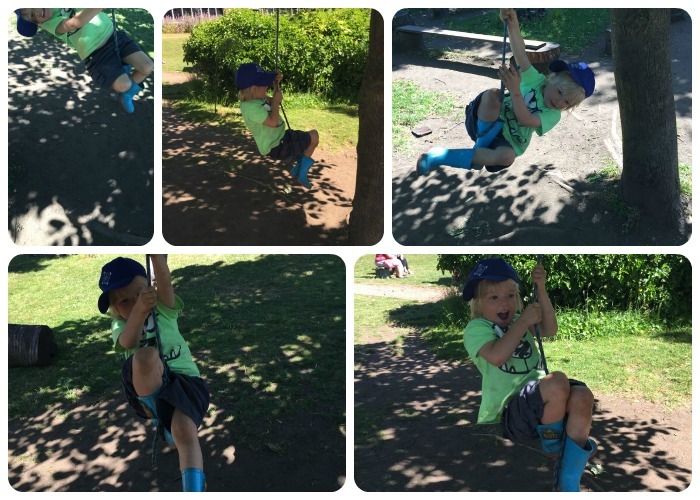 We then headed over to the rope swing, where TP had the most fun and spent in total 30 minutes of the hour session, I was so surprised with how well he did on the rope as even just 6 months ago an activity like this would have been difficult for him. I loved the look of sheer joy and achievement on his face, he even managed to hang upside down and also stand up but i was stood ready to catch him and didn’t take any photos when he was doing that. 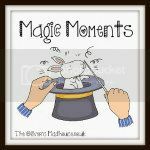 It was an absolute joy to see TP in his element during the 1 hour session and it has given me some ideas about what to do with the tiny 3 over the summer holidays. Oh what a fun time TP had, I love the mud cafe and a rope swing always has children’s attention. I think TP is going to love school come September and forest schools are a great introduction. He will be right at home in my new mud kitchen come October and perhaps try lighting a campfire in the den building zone. Thank you for sharing your lovely day together at the forest school on Country Kids. Wow, that looks like a fantastic place to learn and have fun. He looks like he’s having a great time the rope swing.